The Test Realm is live once again and available for download as we test some general game improvements and fixes before they go live. 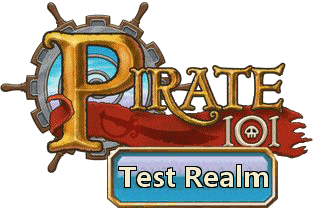 You can read about the updates coming to the live version of Pirate101 after they’re tested. – This Test Realm is available to Members with an Active Membership. – This Test Realm is also available to Crowns Players who have made a purchase of $6 or more in the last 30 days. – This Test Realm is NOT available to Free to Play Players. If you meet these qualifications, log into the Pirate101.com website and look for the Sneak Peek flag under the “My Account” Icon so you can download the Test Realm. If you have already downloaded the Test Realm previously, you do not have to uninstall it to downloand and reinstall a new version. Simply start up the initial version you already have and it will be patched with the new updates. This entry was posted on September 12, 2013, in News and tagged games, Kid friendly, kid safe, news, newsletter, online, Pirate101, Pirates. Bookmark the permalink. ← News – Henchmen Are Here!